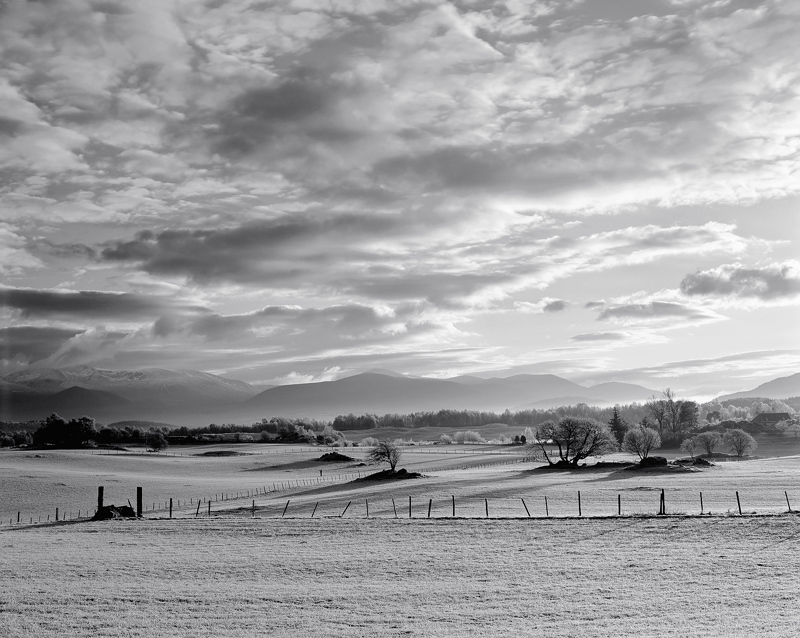 A beautiful sky radiant with light and heavily textured with rimlit cloud materialised over the Cairngorm peaks near Aviemore causing mist to slowly lift off the frosted straw field and outline the trees in a low lying silhouette. Perhaps my favourite memory though is that of the tiny silhouetted figure in the field, he briefly stopped whilst I was taking a picture, he shook his head slowly from side to side and said that I was too late and the light had been far better earlier in the afternoon than it was now the sun was going down. I grinned to myself and thought, well it must have been something else then cos this is outstanding.